I swear, some days I wish I could spend ALL day at my work desk! Today I could really use the distraction as my daughter has started Grade 1 and I miss her. I hope her first day is going well. And I hope all of you with school aged kids are having a good day! These are a couple of candle gift sets I put together. Each box holds 4 tealight candles, then I added tags. Yes, I know what you mean. I remember crying myself the first time my oldest son started school !! and these candle gift sets are just awesome. Very pretty tags! 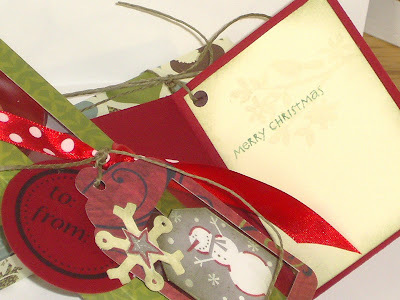 I just love tags on gifts, they dress them up and make them so cute! Thanks for playing with us in TSTR! These are adorable! What a great idea...would make a fabulous gift. I love your tags, too. I like the different layers to them and the wonderful colors and images. Thanks for sharing with us at TSTR. 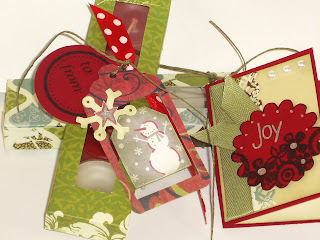 Love the vintage Christmas tags! Beautiful! Thanks for playing at Let's Ink It Up! Your Tag is adorable. I love your idea. 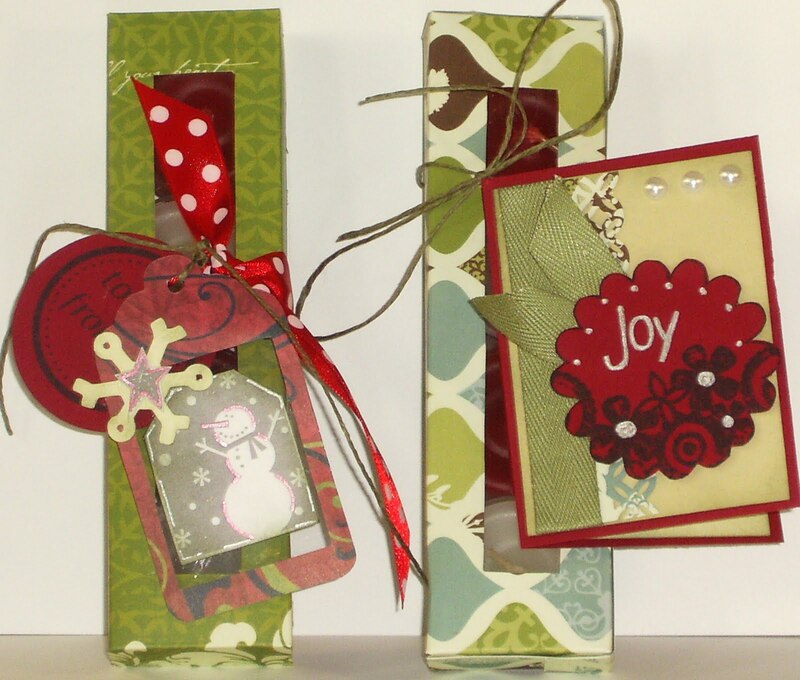 Another fabulous creation - these are perfect small gifts. I love the colour scheme and the mix of papers is great. what great gift ideas!! love them and your tags are wonderful!!!! great job and thanks for joining us for our distressing challenge this week at SSC. Very nice set! you did a lovely job. Thanks for answering the distress call at Stamptacular Sunday Challenge! Super candle gift sets and great tags. Thanks for playing along at Let's Ink It Up.